LAU Continuing Education hosts panel discussion on UN-mandated agenda for Lebanon and the role of civil society. The interactive discussion spurred several questions from the audience. CE Director Charbel Azar giving his welcoming address in the presence of panelists (from left) Rita Rhayem, Nisrine Itani, Nathalie Eklimos, and Ola Sidani. 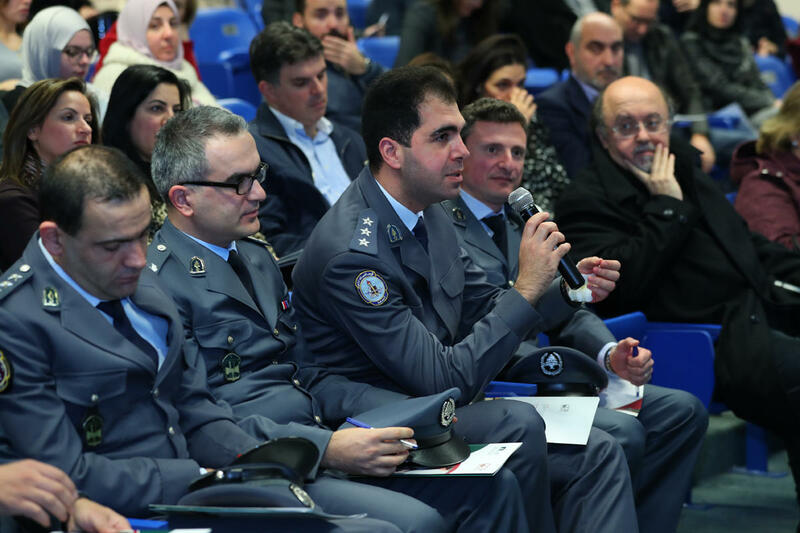 Last summer in New York, Lebanon presented its First National Report on Sustainable Development Goals as part of the United Nations’ 2030 Agenda for Sustainable Development. On the road to fulfilling its commitment to the UN, Lebanon, alongside 192 other nations, is expected to adhere to a set of goals that seek to achieve a more sustainable world across a multitude of challenges such as eradicating poverty, improving governance, empowering women and protecting the environment. 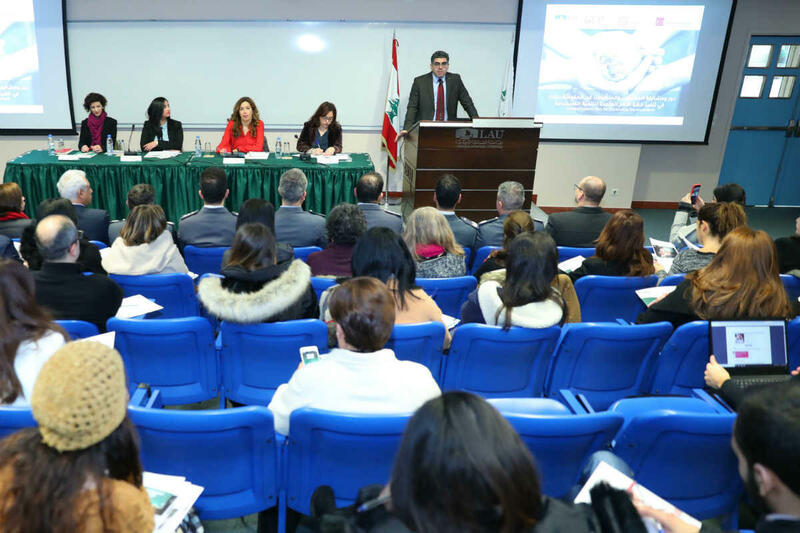 In light of this, LAU’s Continuing Education (CE) hosted a panel on Beirut campus on January 28 featuring speakers from the two organizations that drafted the national report in order to present it to a large group of civil society leaders, scholars and students. In his opening remarks, CE Director Charbel Azar stressed that CE is committed to community engagement, in line with LAU’s Third Strategic Plan (SPIII), and to act as a platform for debate and dialogue for the betterment of society. He pointed out the programs available at CE, such as the Non-Profit Management Associate Diploma, that support the work of NGOs. “Our programs are designed to strike a balance between the academic and professional skills to better adapt to your training needs,” he said, noting that the courses are taught by professionals working in the field. Economics Expert Ola Sidani of the United Nations Development Program at the Office of the Prime Minister, commended the government’s efforts to give civil society an active role in drafting the report for the UN.